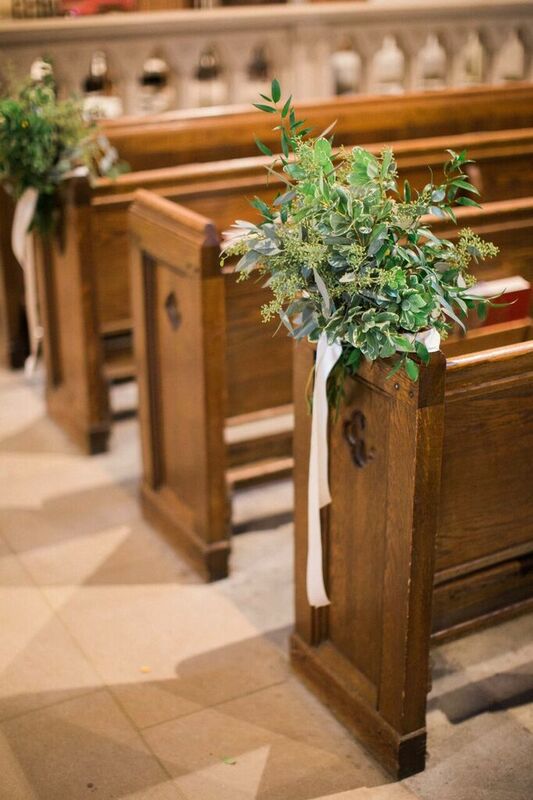 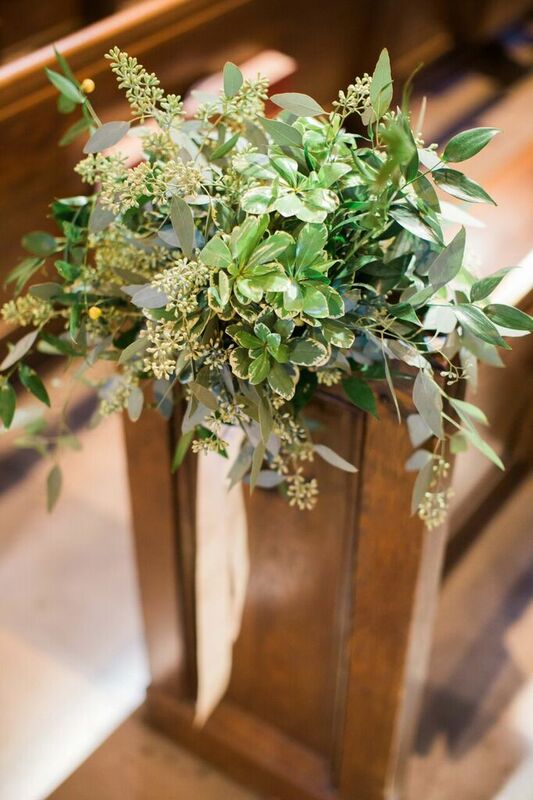 We combined three types of greenery on the pews to create lots of texture and softness. A satin ribbon secured the greenery to each pew. 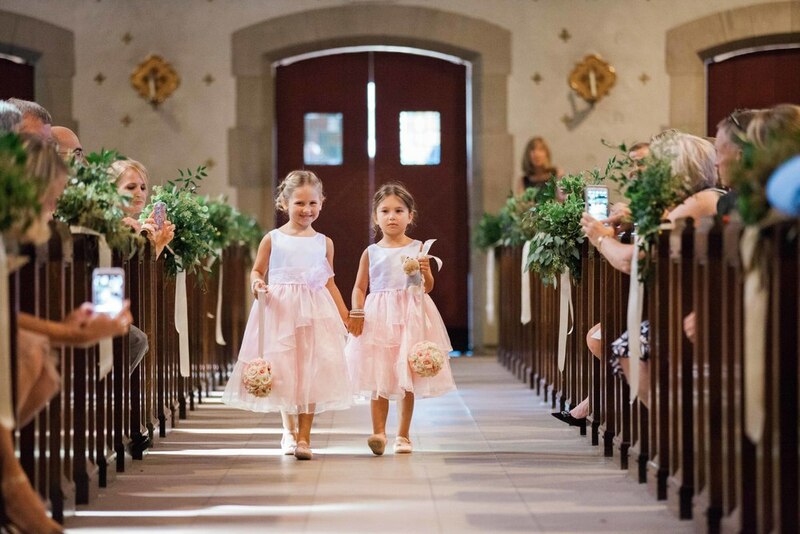 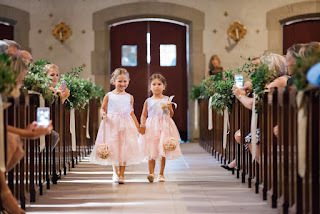 The greenery bunches lined the aisle for these cute little ladies! 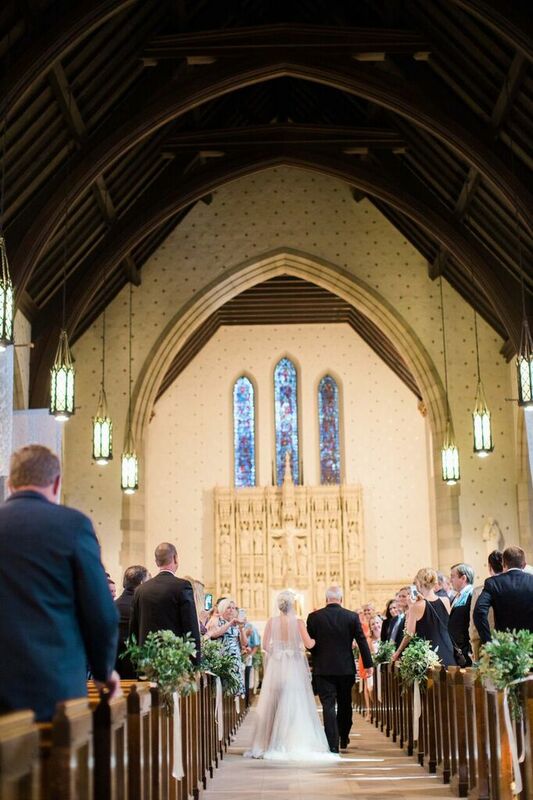 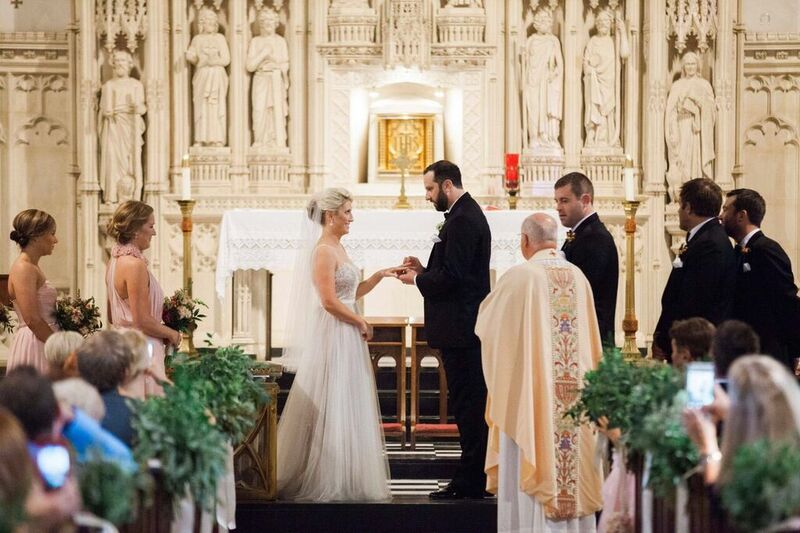 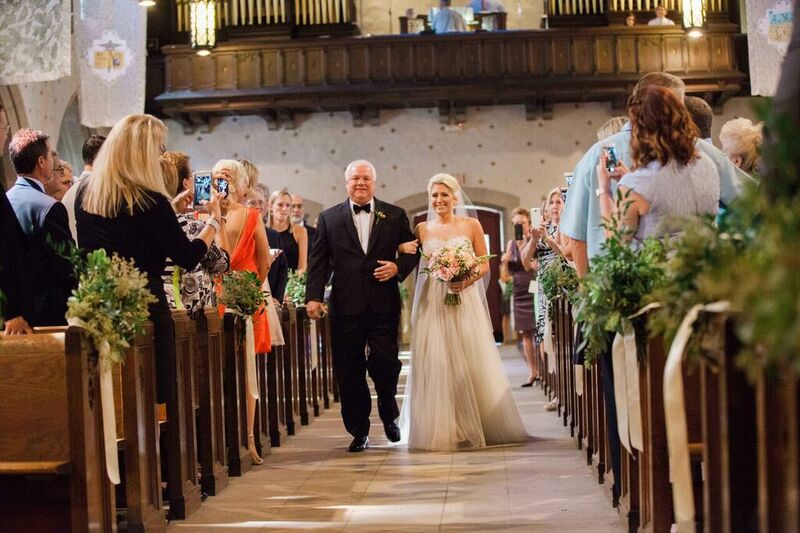 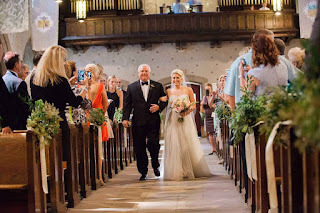 The garden path created inside the church was such a romantic entrance for our bride. Consider aisle decor for an added touch of luxury at your ceremony- inside or outside!